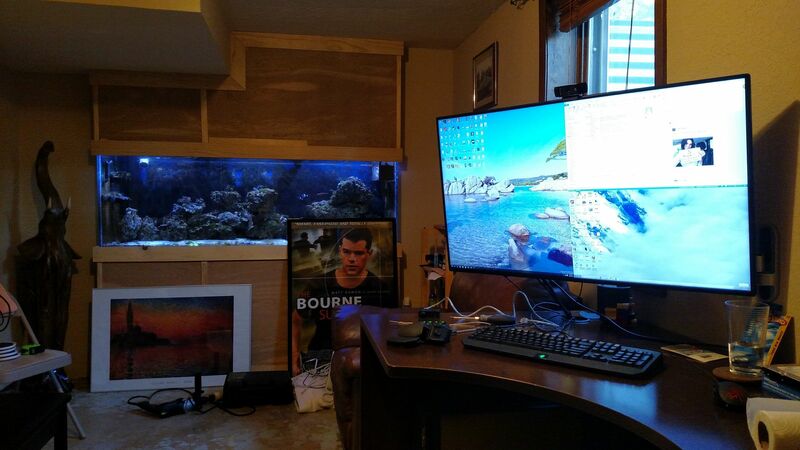 Well, I’ve finally got my office moved into the room that it was “supposed” to be in since installing the fish tank. My basement has two bedrooms, with the smaller of the two serving as my office for the past couple years. When the fish tank project started I determined I would swap and put my office in the larger of the two, and have the fish tank in the wall. With the fish tank install moving along (hey there are fish and coral in there!) it was time to swap the spare bedroom and the office back around. Of note, I mounted the 404k monitor on this wall mount, and would give it high marks.